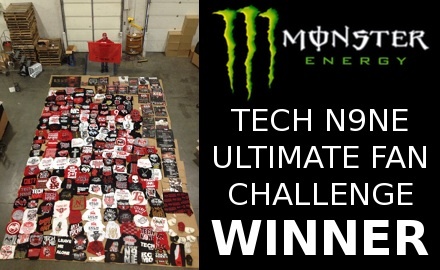 ANNOUNCEMENT: Marcus Guzman Win’s Monster Energy’s ‘Tech N9ne Ultimate Fan Challenge’! 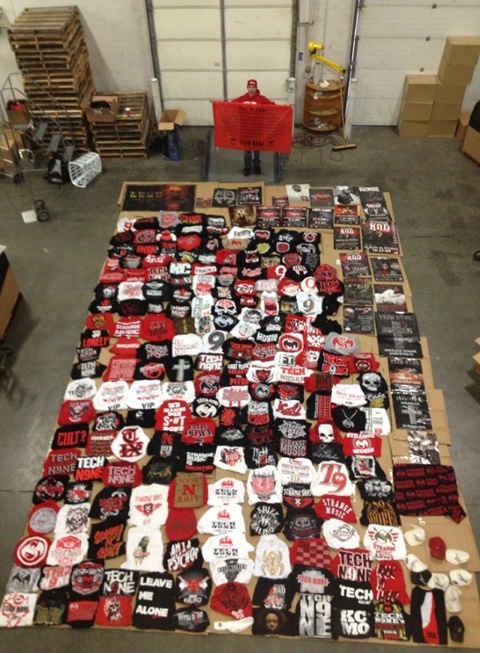 Congratulations to Marcus Guzman for winning the Monster Energy Tech N9ne Ultimate Fan Challenge! Marcus will be receiving his very own Caribou Lou Gold Plaque autographed by Tech N9ne! Keep it Strange Marcus! Congratulations!